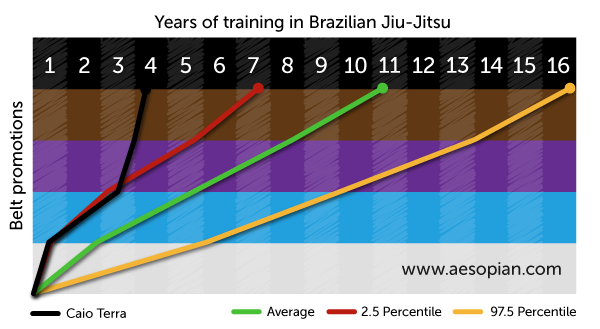 It takes exactly 10 years to get a BJJ black belt (give or take 3-6 years). Here’s how I know this. Back when I did the last big BJJ gi survey, I also collected data about training habits and belt promotion timelines. We crunched the numbers and that’s what they revealed. The results are summed up by this graph. Taste the SCIENCE! This timeline confirms the conventional wisdom that it takes about a decade to get a black belt, though some do it faster and others take longer. What speeds up promotions? The data tells us that too, and it’s not surprising. People who go to more classes and train the most hours get their next belt more quickly. 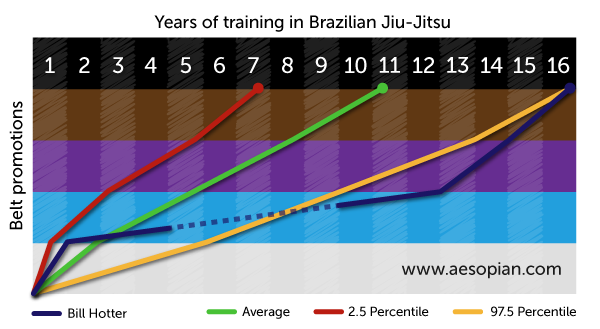 What this timeline of averages and percentiles doesn’t show are the stories of the individual people on their path to black belt. They don’t reflect the daily struggles, the medals and the losses, the injuries and recoveries. These stories can’t be easily simplified to a line on a graph, but that won’t stop me from trying! Let’s take a look at two black belts. First is Bill Hotter. Who is Bill Hotter, you ask? He is a long time Sherdog Grappling member, a black belt under Cesar Gracie, and an all-around cool guy. The dotted line represents a 5 year hiatus he took from training. 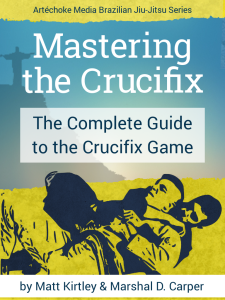 You can get a good sense of his attitude by reading about his BJJ road trip (part 1 / part 2) and his opinion on how often to train. Jumping to the other end of the spectrum, here’s everyone’s favorite rooster weight, Caio Terra! As fun as it is to try to measure yourself against these timelines, remember that the speed of promotion doesn’t really matter, so don’t be sad if you’re “behind schedule.” Knowledge, skill and personal development come first, and the belts are a nice recognition for your hard work. More graphs like these are coming soon, from world champions to blue collar black belts. I’ll also be getting more of their personal stories and their advice for people still working their way up. If you want yourself or your instructor profiled here, give me a holler. You’ll get to plug your school and your sponsors if you do! My path follows almost exactly along the 2.5 percentile. 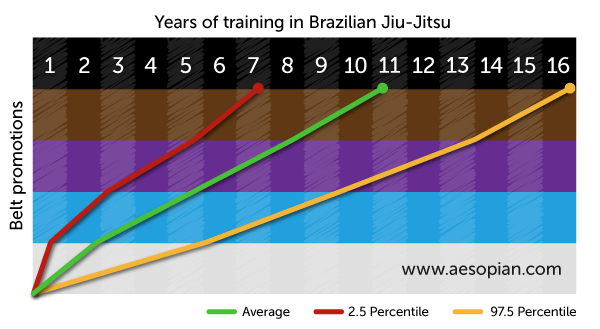 Getting Your Black Belt In BJJ - How Long Does It Take?